As one of the primary recording outlets for the well respected Slime Recordings team, Downplay have been on a fantastic roll of late, topping it all off with this latest offering from Fork & Knife. 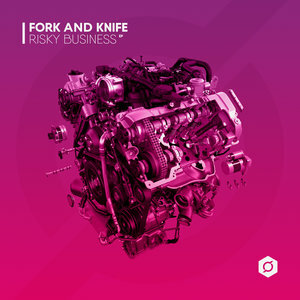 As a producer, Fork & Knife is extremely versatile, but often sits in the space between grime, funky and garage, a perfect way to describe the title track for this one which goes by the name of 'Risky Business'. Following this we fall into the more glitchy drum rhythms and colourful percussive patterns of 'Porsche 928', before we finish up with the smoothened out more subby 'Won't Mix' of 'Risky Business'. Very tasty stuff indeed on this one!